TM59 Design methodology for the assessment of overheating risk in homes was developed and published by CIBSE in 2017. The aim was to address the industry gap with regards to overheating assessments of residential properties. Prior to TM59 being developed, there were no specific industry criteria to base overheating in homes. As such, energy assessors and consultants would likely use differing model set ups with no real benchmark on which to base the results. 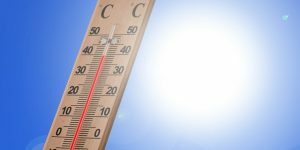 Weather patterns in the UK have changed over the years and it is predicted that the UK will experience more weather extremes, which would include hotter summers. Architectural design and building standards have also changed. Buildings constructed prior to the early 1980s were unlikely to have insulation. As standards have been raised and products improved, buildings are now much better insulated. Buildings are constructed to have better air permeability rates now. Modern buildings often have highly glazed facades too. Retaining heat is critical to reducing energy consumption from domestic heating appliances but retaining heat in the hotter, summer months can then be a problem. CIBSE TM59 sets out a methodology for assessing the likely internal temperatures for a domestic property. It gives input data that the energy modeller can use including the hours of occupancy; internal heat gains from equipment for bedrooms, living rooms and kitchens; and internal heat gains from occupants. There are also guidelines for determining at what internal air temperature the windows are to be opened at, as well as suggesting heat gains for hot water pipework that runs through the accommodation or through communal circulation areas, such as corridors in a block of apartments. The guide then sets out criteria that should be met in order to demonstrate compliance and that overheating is not a risk. These criteria are in the form of hours of occupancy that the air temperature in the building exceeds a set level. Criteria are there for daytime and night time occupancy, to also ensure comfort whilst sleeping. 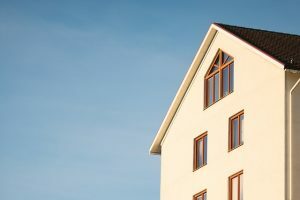 The majority of domestic properties in the UK are naturally ventilated, which means opening windows to provide sufficient ventilation and help keep temperatures down in hotter weather. Modern buildings are built to be more air tight and as such, mechanical ventilation is being installed much more frequently. TM59 also supplies guidance on these types of properties and undertaking an assessment at design stage, can ensure the ventilation system is adequately sized to reduce overheating. It’s important to carry out the TM59 assessment and report at the design stage of a project. If the initial design is assessed and is falling short of the requirements, it allows for changes to be made prior to construction beginning. Alterations to the design may include resizing windows, increasing the window opening capability, amending the glass specification to reduce solar gain, or perhaps amending the layout so that rooms are different sizes or oriented differently. Up Energy has been carrying out CIBSE TM59 overheating assessments and reports since the guidance was produced in 2017. 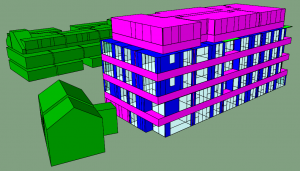 We use advanced, 3D thermal modelling software and can help drive the design process. We work on all size projects for domestic overheating, from single dwellings to multi-storey blocks of apartments. Get in touch with us if you would like some initial advice or a quotation for a project. Please enter your name, email and telephone number below and we will get in touch as soon as possible.